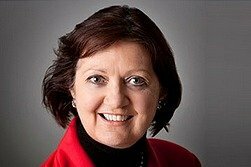 Evelyn Mackenzie-Smith qualified as a solicitor in 1983 having studied in UCD and has practised in various areas of the law including family law, civil law and criminal litigation. She is now part of our probate team, advising clients and drafting wills, as well as dealing with the administration of estates, Enduring Powers of Attorney and Wardship matters. Evelyn has a Certificate in “Capacity, Mental Health and the Law” from the Law Society of Ireland. Evelyn has acted in many family law cases, substantial personal injury cases and serious criminal trials. She has a wealth of experience in the District Court and looks after licensing applications for publicans and sporting organisations. Evelyn lives in Kilcullen, Co. Kildare and is involved in various local voluntary bodies.